Our featured products for drilling and exploration are water containment liners for frac water storage in coal bed methane development. We can provide liners for ponds or tanks for frac water and have a unique insulated floating cover system that can reduce loss of water volume due to freezing. Layfield also sews geotextiles for road or lease pad construction. 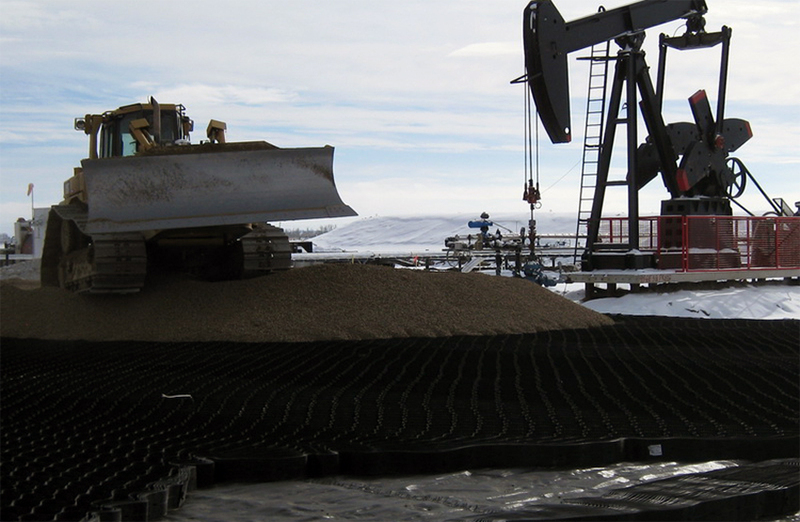 Access to drilling sites is a challenge in muskeg and soft soil regions. Layfield has been providing geotextiles, geogrids and geoweb geocells to address drilling exploration road construction for many years. We are also your go-to source for liners for secondary containment, water storage, drilling fluid containment, and for soil remediation liners.